SimPlay is a 1. Medical video debrief system and 2. 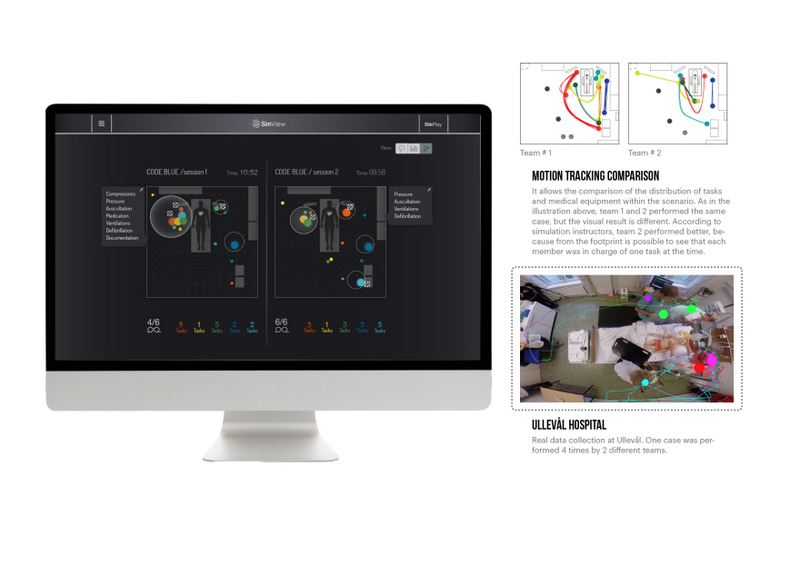 Professional platform which allows medical simulation instructors to provide visual and concrete feedback to medical teams during simulation, in order to reduce human error during the real clinical experience. 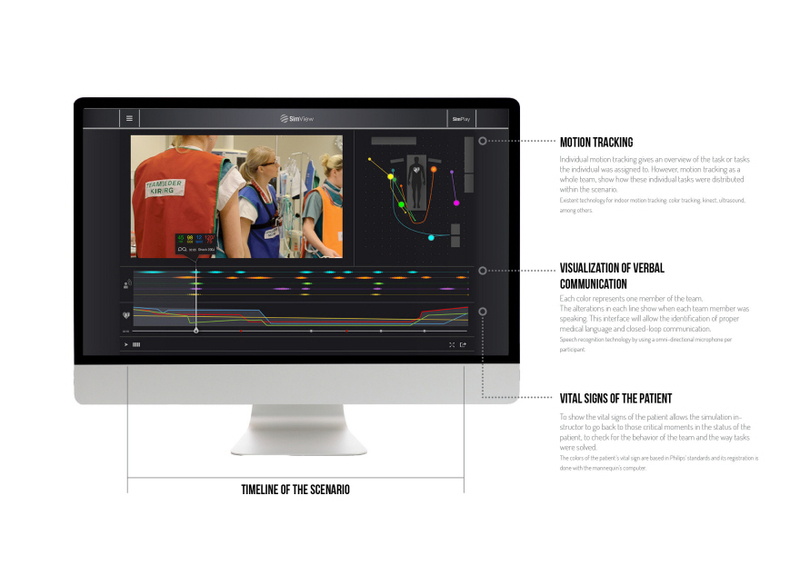 An interaction design project in collaboration with Laerdal Medical (Leader company in medical simulation, based in Stavanger/Norway). 1. 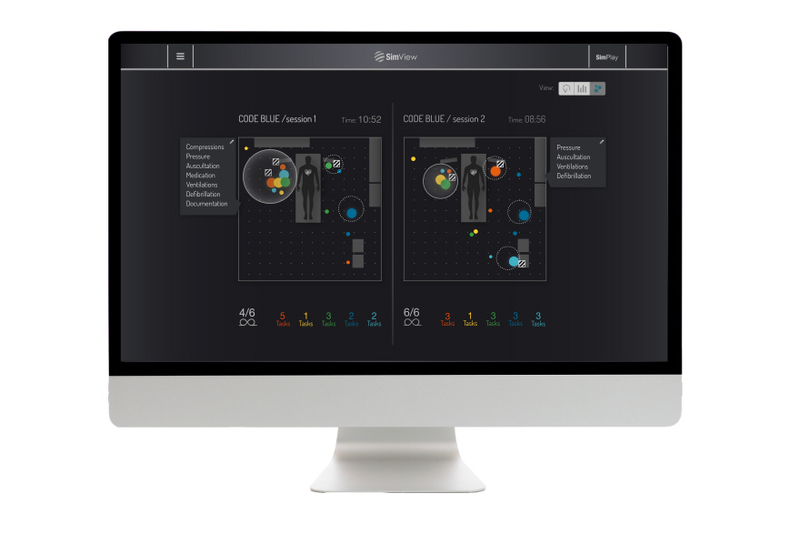 SimPlay, video debrief system, consists of an interface which conveys the distribution of tasks (footprint of the medical team) and equipment within the emergency room and faults/strengths of communication among the team. These features will provide better feedback to the medical team through an improved data collection and concrete visualisation of their performance. 2. 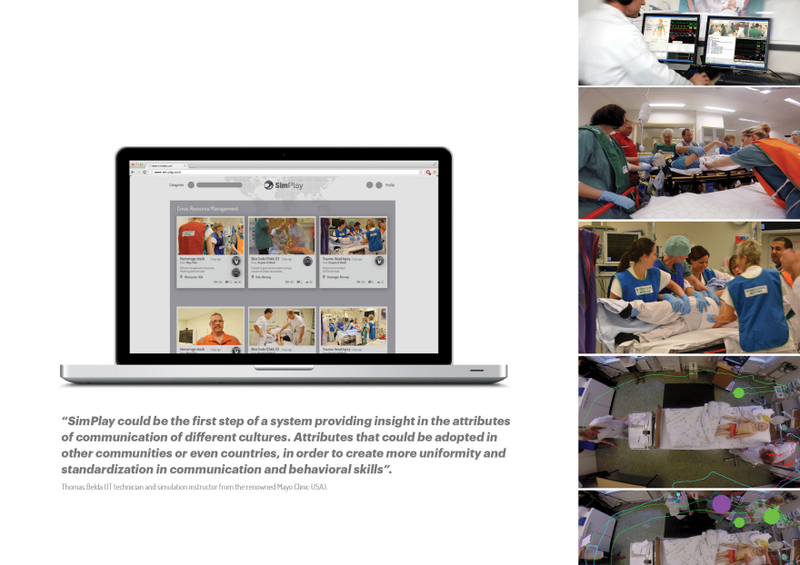 SimPlay, Online platform, allows simulation instructors to upload valuable simulation videos with its respective data recorded with the video debrief system, in order to share the knowledge with other hospitals, within the same country or even around the world. It is a platform that can collect valuable material and provide insight on the right way of solving different medical cases. This is the result of my diploma (Spring 2014). I worked individually in collaboration with the company Laerdal Medical. They provided me with access to some of their contacts at the hospital of Stavanger and Skien. They gave me access to their products functionalities. I got a supervisor, Kjetil Nilsen, who provided me with feedback through out the diploma. Valeria Gaitan SimPlay Online Platform Allows simulation instructors to tag, comment and contribute to solve different medical cases within their own country or even around the world. Valeria Gaitan Observations at the hospital of Stavanger This video were taken with a GoPro camera to analyse the use of equipment and interaction of the participants. Valeria Gaitan Motions Tracking at the hospital of Oslo/Ullevål Color tracking, using color bands on each participant + colour tracking with a HD camera from the current debrief system from Laerdal Medical. 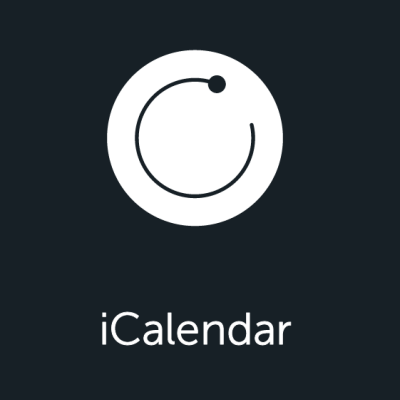 The size of the circles represents the time that the participants have spent in each place. Valeria Gaitan Full Picure_no description_SimPlay Comparison of Scenarios This screen shows the distribution of task per participant, distribution of equipment and different procedures. Valeria Gaitan Debrief session at Ullevål_Hospital of Oslo Testing and observing a debriefing session with preliminary results. 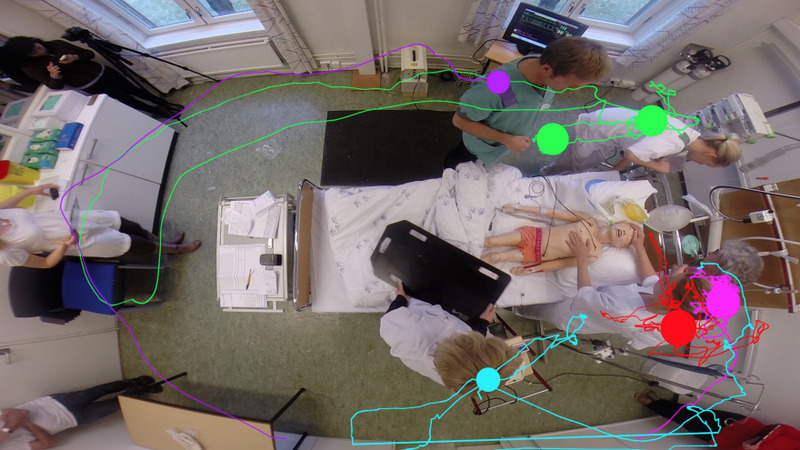 Valeria Gaitan Motion tracking at Hospital of Skien/Norway Two teams with almost the same levels of competence performing and scenario of blood infusion to a child. The second time they rehearsed the scenario was the ideal, because it is possible to see the delegation of activities and even the efficiency of time. According to Lasse Shmidt simulation instructor at Ullevål, other teams can use this visualization to resemble the movements to change the behavior. Valeria Gaitan Analysis of the scenario Analysis of procedures executed by different participants, communication, movements of one simulation scenario. Emergency scenarios are difficult to handle, due to the limited time medical staff have to apply the right procedures to the patient before he/she enters in a more critical situation. For this reason, medical teams currently use simulation as a tool to practice in lifelike contexts, but today there is no way of measuring the impact of this practice. 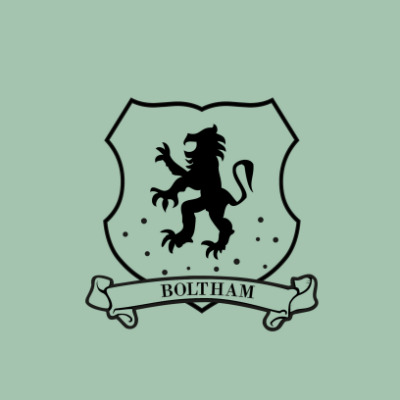 The focus of the project was to explore emergency scenarios, by tracking data that could be relevant to measure the benefits of simulation and to shape it into novel ways that could impact positively the learning process. This project was developed in a term of 4 months and it is the result of my diploma at the Oslo School or Architecture and Design. I have a passion for designing in the Medical Industry; therefore I chose to work in collaboration with Laerdal Medical. During this project I wanted to explore emergency simulation scenarios by collecting data, observing and interviewing different users, in order to find opportunities where the role of interaction design can reduce human error during the real clinical experience. 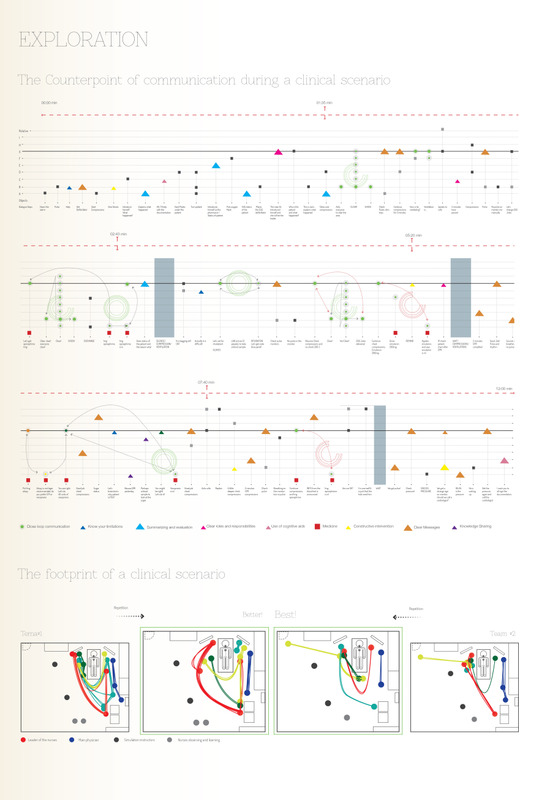 Later I analysed the data collected and research by using the System Oriented Design approach (GIGA Map attached). 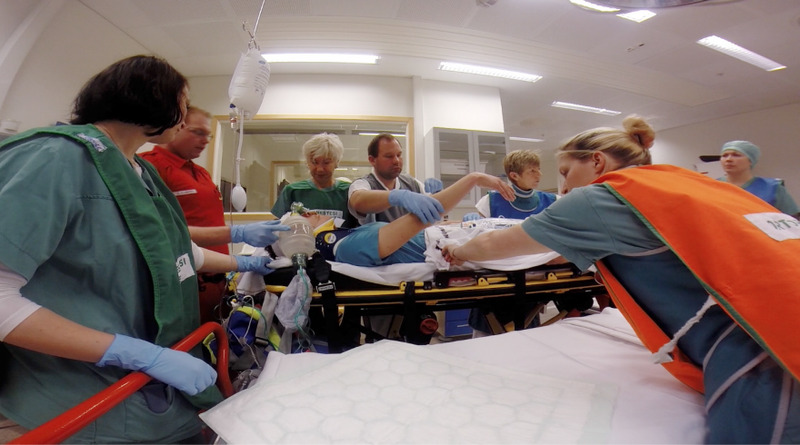 I observed 16 different emergency simulation scenarios at the hospitals of Skien, Stavanger, Ullevål in Oslo and Safer (Laerdal's Simulation center). I observed a real emergency. I consulted hardware programmers and the IT technician director and simulation instructor at the renowned Mayo Clinic in USA. During the process Laerdal Medical provided me with feedback, access to their products, facilities and contacts, they also took the idea to the USA to the biggest conference for medical simulation, where the intention was to get feedback from M.D. John J. Schaefer. He is known as one of the best instructors in the field. He finds the idea disruptive in a positive way, because this allows him to rate scenarios based on his individual guidelines which he already is trying to implement. -Interview with experts and observations of simulation and real emergencies. -Gathering data with my own sources (Video recording, sound recording and color tracking). -Analysis of insights and existent methodologies with the Systems Oriented Design approach. 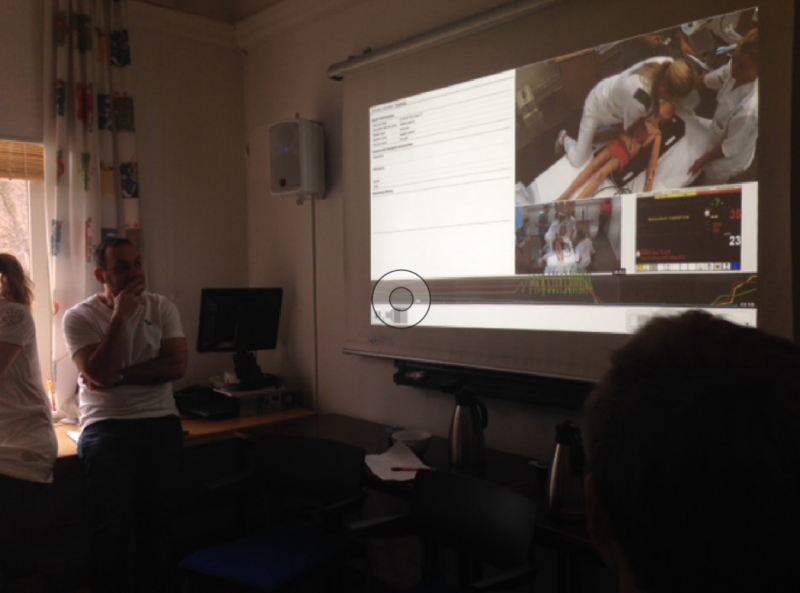 -Analysis of ideas with other experts and users: programmers, Simulation Instructors (Users) and Laerdal Medical. 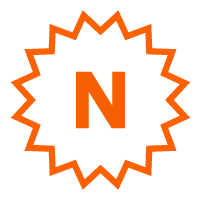 -Development of concepts and design interface. -Film shooting and animation for the final video. - Motion tracking of individuals and Medical equipment distribution within the room: The footprint of the latter conveys distribution of tasks among the participants. - Visualisation of verbal communication: it shows when each member of the team speaks, and allows the identification of achieved/missed closed loop communication (Medical language that consists on confirming what one heard before executing the procedure). - Vital signs of the patient: allows the simulation instructor to go back to those critical moments in the status of the patient, to check for the behaviour of the team and the way tasks were solved. Today the feedback given by simulation instructors to trainees is based in observation and opinions that will vary from professional to professional. 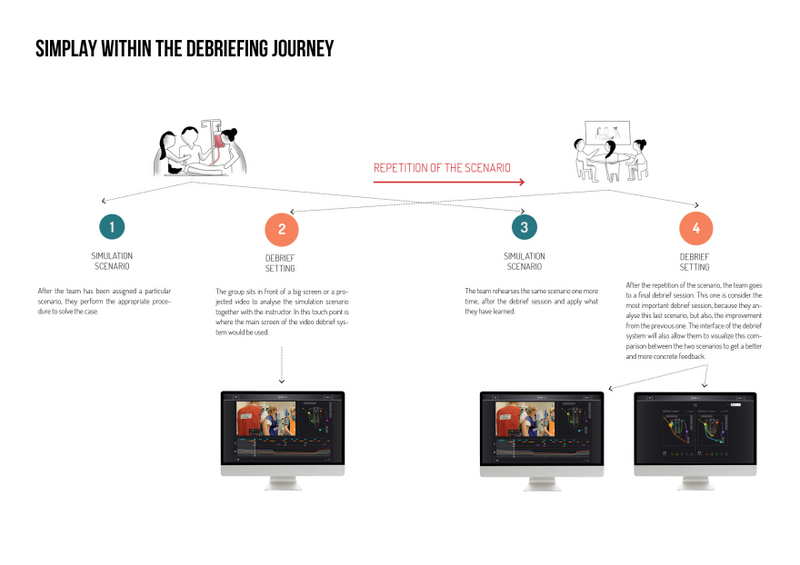 This innovative solution set guidelines to enrich the dialog during debriefing sessions, it points at specific areas of improvement and allows the instructor to give more appropriate and concrete feedback. 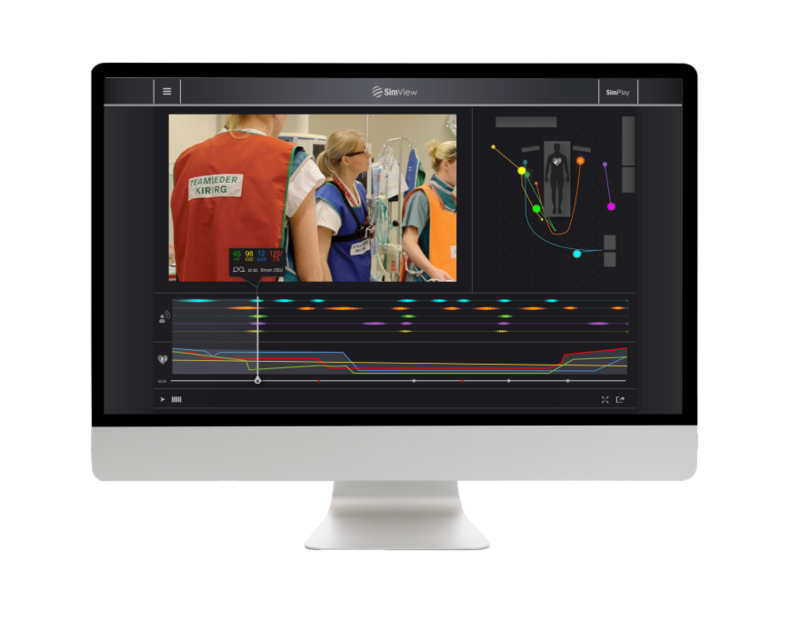 In addition, SimPlay is also a professional online platform that allows instructors to upload valuable simulation videos, in order to share the knowledge with other hospitals within their country or even around the world. A platform that will collect valuable material and provide insight on the right way of solving different medical cases. The system has a holistic approach to the main needs of the users, which are: 1. Get the right feedback 2. 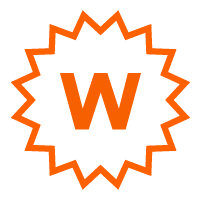 Provide updated knowledge 3. Save time planning and debriefing. SimPlay provides a platform which facilitates the dialog between the actors. It points at concrete faults/strengths of the scenario, allowing therefore to improve communication and performance during the real clinical experience. Nevertheless, in order to meet these needs, it is necessary to identify the key actor, which in this case is the Simulation instructor. Why? Even when the team needs to improve at communication and performance, it wouldn't be possible if this instructor is not conveying the right knowledge. The system is a tool that allows simulation instructors to address the needs of the participants, but also a channel of communication between Laerdal Medical and the real clinical setting. Thus, Laerdal can design more efficient solutions which will address different needs and have a higher impact. Most of the existent simulation tools are focused on improving technical skills (Ex. better ways to simulate surgery, ventilation, etc). However, there are almost no existent tools in the market which focus on improving non technical skills (Ex. communication and behaviour change), which are one of the most important needs that medical teams face in the daily basis. 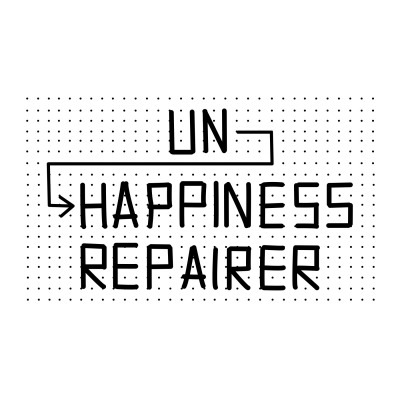 Improving the latter is almost the only way to reduce human error during the clinical performance. Why is this beneficial for society: SimPlay is a system which sets premises for behaviour change, it aims to improve the current learning process of medical education, in consequence to have a better impact on patients. 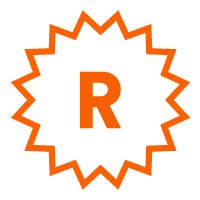 It is a tool for simulation analysis, but it could also be implemented in real emergencies to have an even stronger point of comparison. However, the highest social impact of this system is reflected on SimPlay as a professional online platform. This platform allows them to save time planning or creating new scenarios for simulation, since they can find them online and adapt them to their region and/or teams. If simulation instructors around the world share videos of simulation scenarios, with its respective data, this will yield learners to expand their knowledge, by seeing other ways performed by different cultures to solve the same case. It could be seen as a platform, of professional use only, that will gather insights in the best way of solving different medical cases. If this is used in real emergencies and compared later with simulation scenarios, today this could be disruptive, but maybe the only way to reduce human error in the future. Adam Scheuring, one of the developers consulted during the process said: "It is kind of ridiculous that you have that level of telemetry in Formula One or the servers of Snapchat but you don't in the ER". This project is still a concept, but Laerdal Medical wants to developed it further. This was before a partially confidential project, but at the end of last year the application for patent was accepted. Therefore it is possible to show it Online. 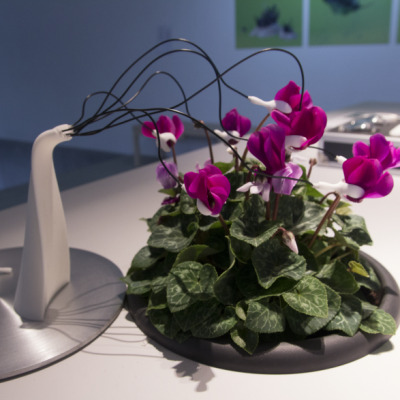 This project also won the prize for "Innovation in Design" by the Norwegian Design Council at the Students Award Ceremony in June 2014. http://www.aho.no/en/AHO/News-and-events/News/2014/AHO-WORKS-AWARDS/. 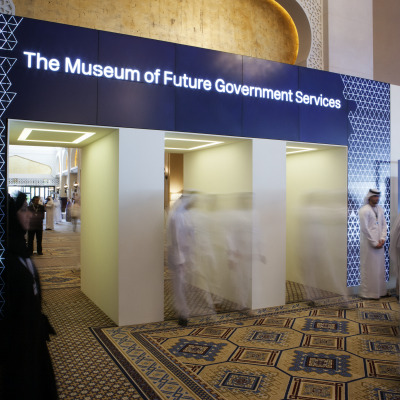 And was nominated and short listed in the category for the prize of "Best Interaction Design" and the prize for "Complexity and Holistic Approach". We really admired the impact and the value this might bring when it's brought to maturity. We were really impressed by both the range of data it captured and the range of ways it visualized data to really hopefully bring some improvements to the situation. It did feel like the student side particularly put the thinking about the person or a group of people at the center of the project. Certain projects which just didn’t work weren’t thinking about that from the beginning. Not many of the projects looked at the behavioral side of design. SimPlay…particularly focused not on the technical aspects of the training and debriefing but on the actual behavioral aspects within the team.